Lowden teaming up with Ed Sheeran on a new range of affordable acoustic instruments was the biggest story of NAMM 2019. We check out a pair of guitars from the new signature brand. 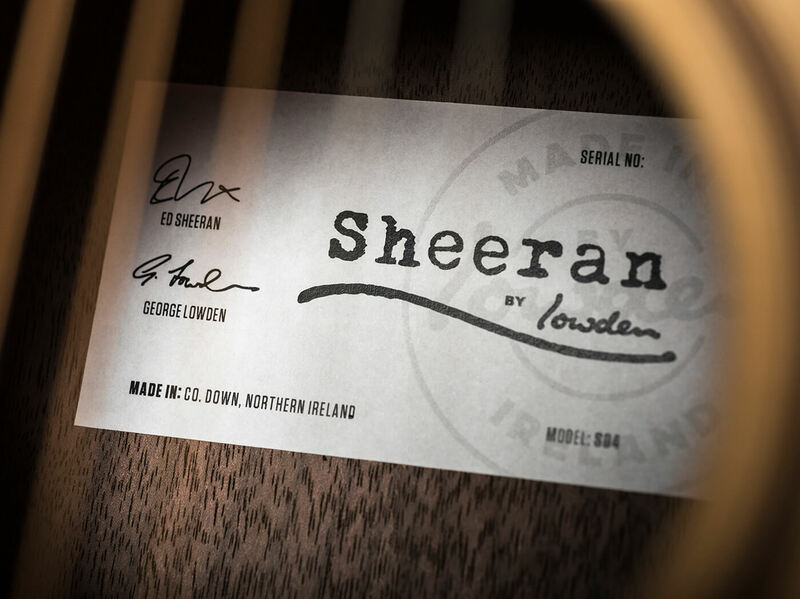 Ed Sheeran’s first Lowden was a gift from his friend Gary Lightbody of Snow Patrol. It was a relationship between player and guitar that got off to a good start – Sheeran used it to write five songs on his 2014 album x, which has since sold over 14 million copies. George Lowden would later develop a unique small-bodied guitar for Ed that would become the Wee Lowden production model. As the friendship developed between one of the world’s finest luthiers and its biggest pop star, the pair began hatching a plan to produce a high-quality instrument accessible to young, aspiring players. Rather than go for a luxurious signature line with exotic tonewoods and exquisite inlays, Ed has lent his name to a series of Lowden-designed models that are stripped down, affordable and perhaps most surprisingly, made in Northern Ireland. The Sheeran by Lowden range comprises four S (small body) and four W (Wee Lowden) models, and for the purposes of this review, we’ve got our hands on one guitar from each series. 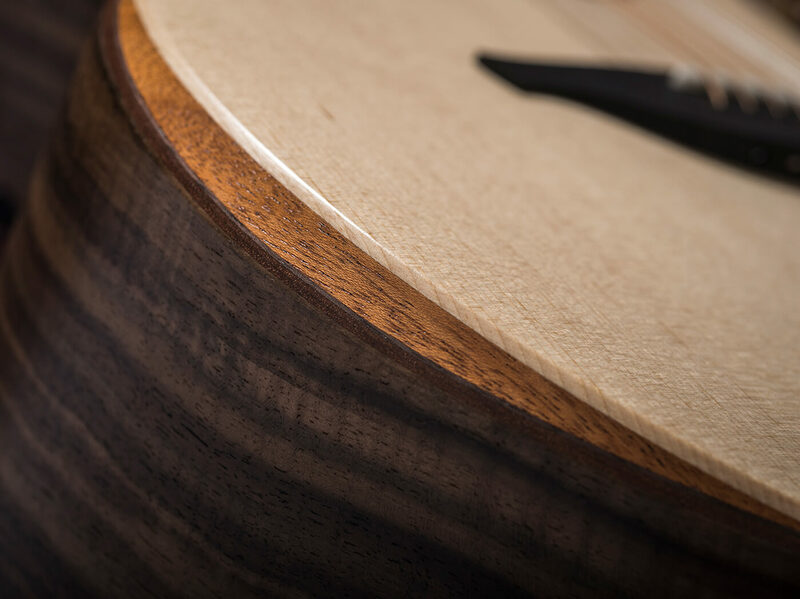 In order to hit the sub-£1,000 price point, these instruments were never going to match Lowden’s tour de force woodworking and marquetry standards, but the simplified build displayed here retains the characteristic precision and crispness. The only decoration you’ll see, however, are the seven-piece wood rosette rings and there are no purflings, bindings or inlays at the tail. 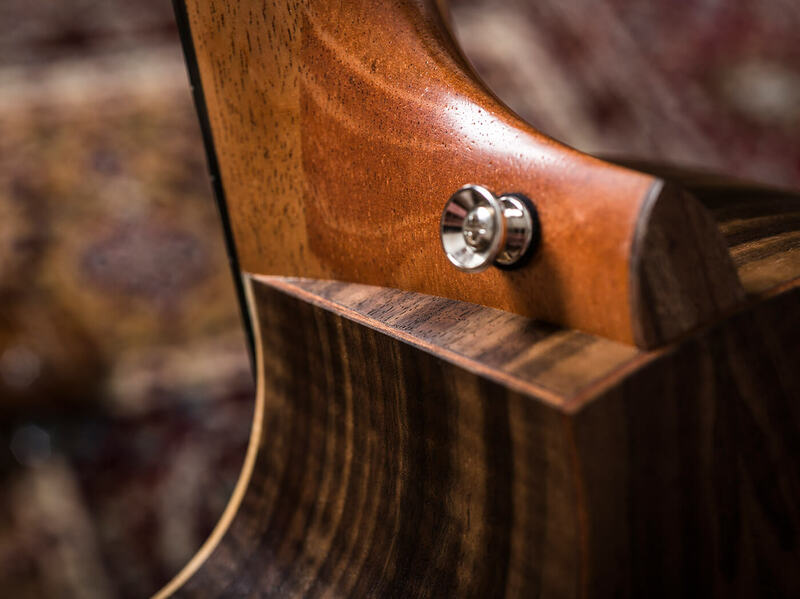 Similarly, the one-piece mahogany neck construction and stacked heel are far more conventional than Lowden’s usual laminated style. 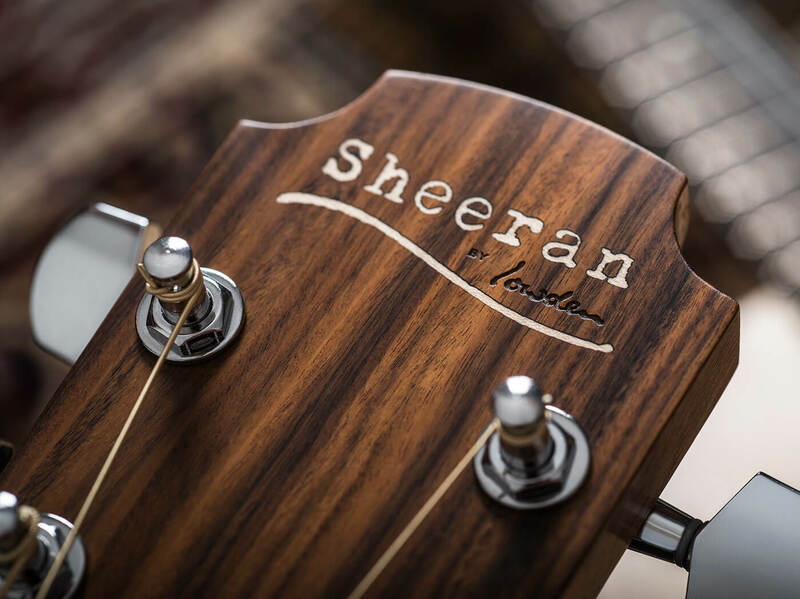 The headstock shape is the same, with ‘Sheeran’ inlaid and ‘by Lowden’ etched beneath in smaller lettering. 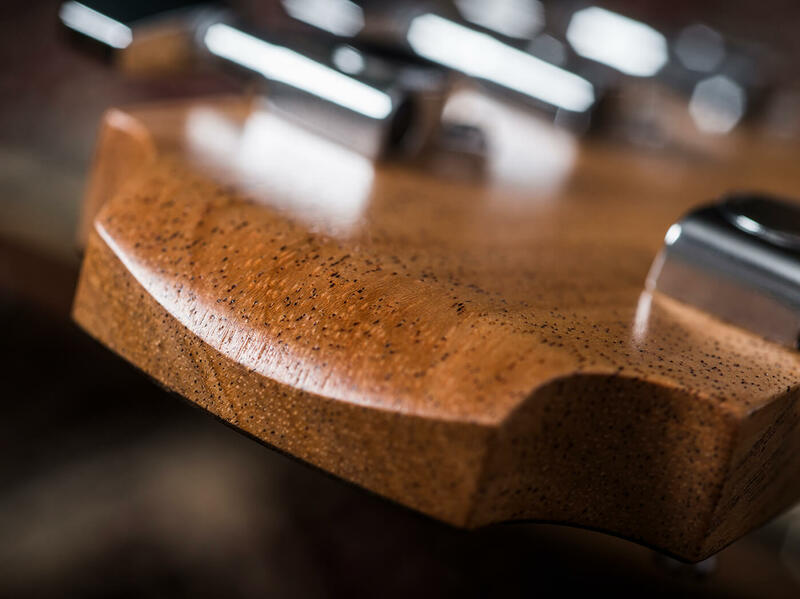 Truss-rod access is behind the nut and wood truss-rod covers match the headstock veneers, which in turn match the back and sides of each guitar. The top-loading bridge design is also unchanged, though a single saddle is used rather than a split saddle, and the saddle itself isn’t shaped to optimise intonation. 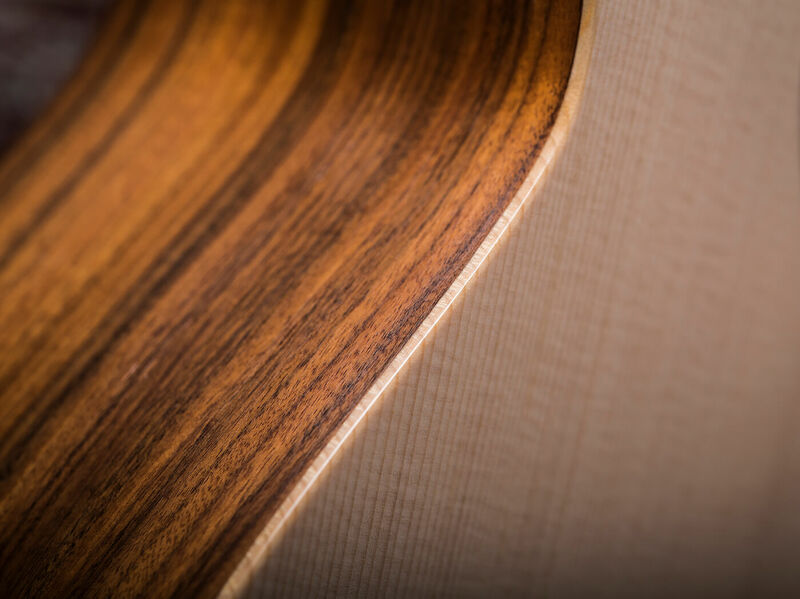 The most significant departure from a full-fat Lowden is the use of five-ply laminates for the back and sides. 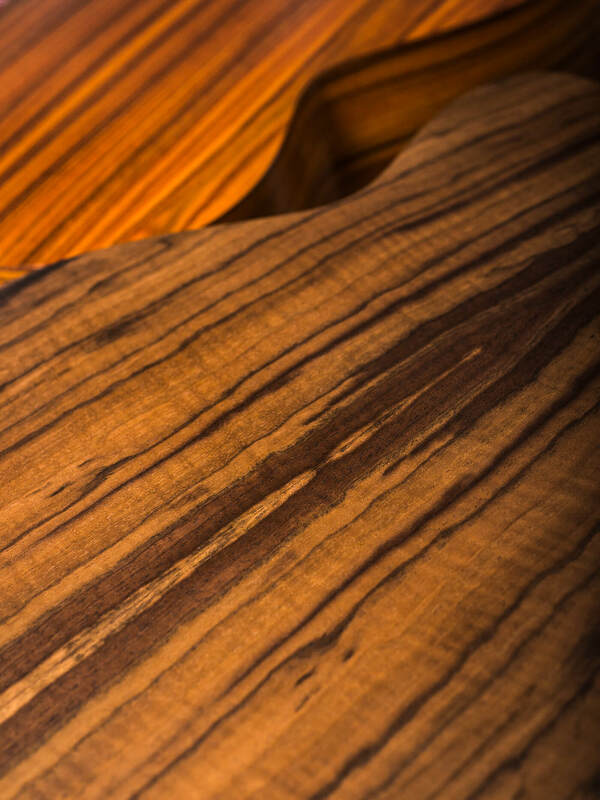 The company certainly hasn’t skimped on the quality of the outer veneers, because the grain impresses. 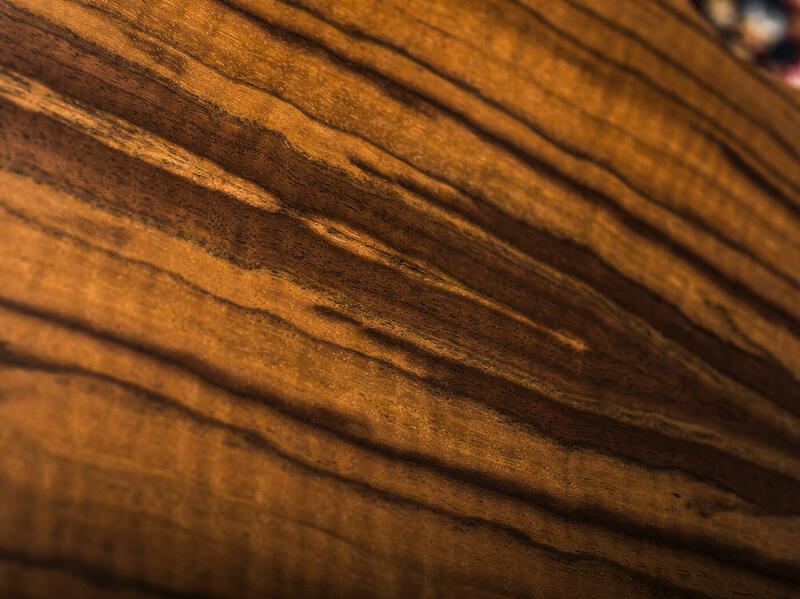 This is particularly true of the S04 model, with its highly figured walnut. 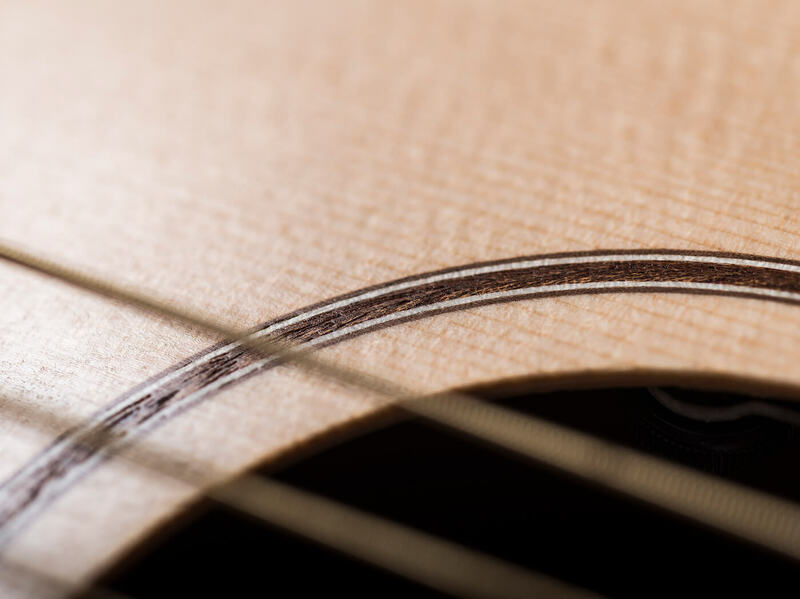 The S04 and W02 both feature solid Sitka spruce tops with Lowden A-Frame bracing, and their thinness is exaggerated by the absence of binding and Lowden’s usual double layering around the soundhole. 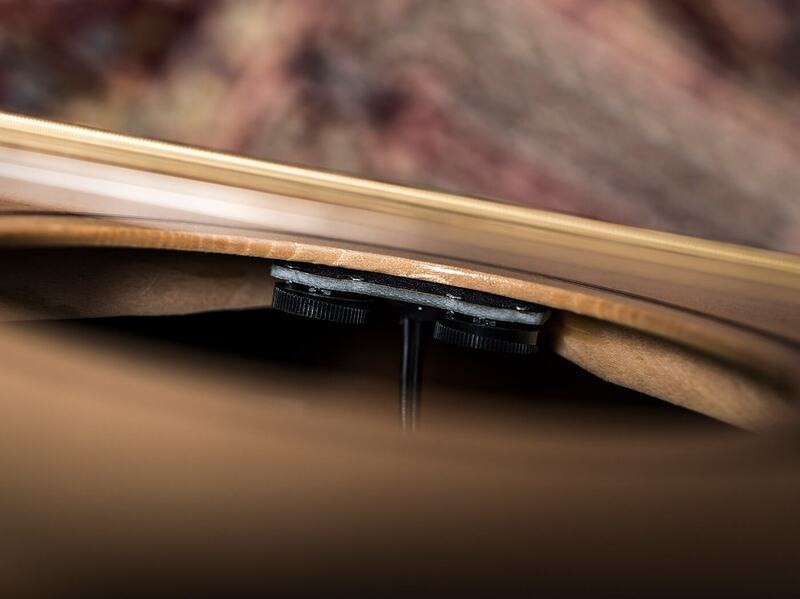 The W02 has Santos rosewood back and side laminates and none of the W Series models are available with a cutaway. In contrast, the S Series models come in cutaway and non-cutaway guise, and three of the four models have a forearm bevel on the lower bout. 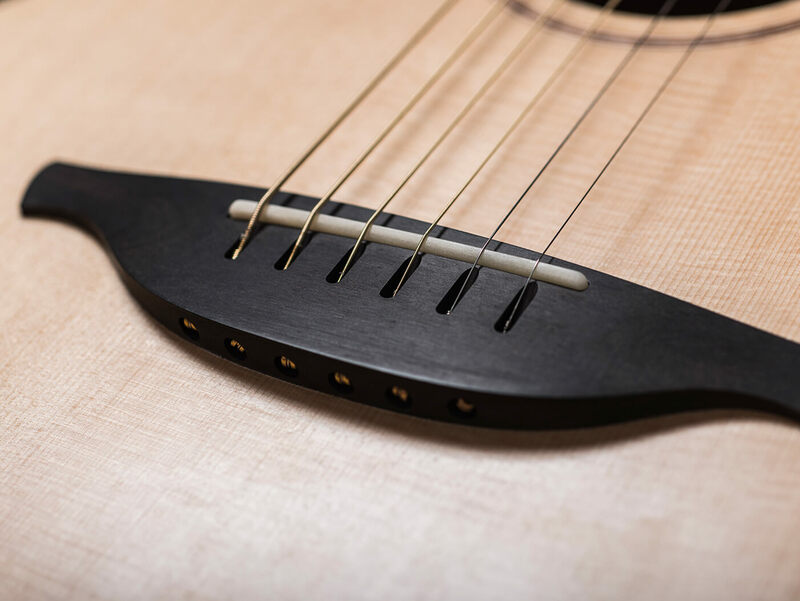 Both the bridge and fretboard are made from solid ebony and these may be the first guitars Lowden has produced with visible fret ends. Happily, that doesn’t equate to a lowering of standards and the fret dressing and polishing impresses. 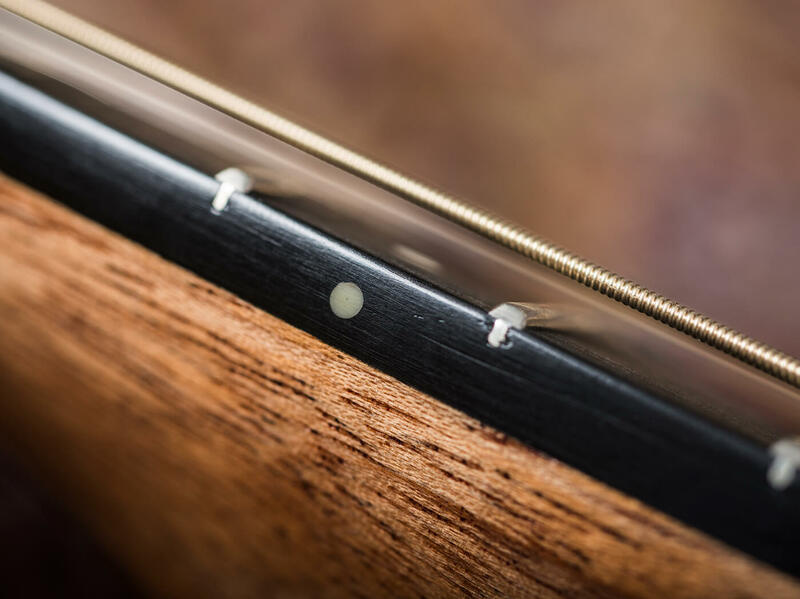 An LR Baggs Element VTC pickup system is fitted to both review guitars, with volume and tone controls located just inside the soundhole. It’s a standard fitting throughout the S and W Series, with the exception of the entry-level W1 and S1 models. All Sheeran by Lowden guitars come with a heavily padded gigbag – appropriate for a range bearing the name of a musician who virtually lived out of his own gigbag during his early gigging career. Something immediately striking about both these guitars is the way they feel exactly like holding a Lowden. The visual vibe is much the same and the neck profile feels unaltered. It’s a smart move – after all, many of the potential customers for Sheerans will be those who can’t yet afford a full-priced Lowden. If your entry-level option doesn’t have a decent playing feel, a bad impression may linger and potential customers of the future may be lost. Starting small with the W02, we are taken aback by the overall balance and punchy response. Clearly an acoustic guitar with this sort of body size cannot produce deep bass, but the low strings certainly have sufficient power and the treble doesn’t overwhelm the bass. There is a pleasant dryness to the tone that favours the fundamental frequency of a note, but there are plenty of harmonic overtones to keep things interesting. Inevitably perhaps, there’s a slight boxiness to the midrange, but that’s par for the course with small acoustics and we find it adds to the W02’s charm. Some may notice a lack of sustain, but that actually works to the W02’s advantage when it comes to intricate Nick Drake-style fingerpicking patterns and percussive rhythm playing. Given its size, the volume this guitar produces is quite an achievement. That said, it’s no effort to sing along as you’re playing and you won’t need to push your voice to get heard. In other words, it’s an ideal tool for travelling songwriters. Since there are no back braces, and the S04’s body is about 4cm wider, the back’s tap tone is noticeably lower in pitch. It’s no wonder then, that the larger-bodied guitar has bass with more gravitas and no trace of boxiness in the mids. While the S04’s tone may not be as characterful as the W02’s, it’s more recognisably ‘Lowden’ in its DNA. Now the midrange is less prominent, harp-like treble and ethereal harmonics we associate with the Lowden brand breathe more freely. It might be somewhat predictable, but it would be remiss not to explore DADGAD in a Lowden review. Where the W02 gets bluesy, the S04 comes over all Celtic and the low-end holds together particularly well. Again, the bass is far from earth-shaking, but it’s deep and solid enough, and the S04 certainly retains its balance in dropped tunings. We also find it has a greater depth of tone and complexity than the W02 – so much so that we have to double check that the body really is laminated. Of course, any concerns about bass response go out the window when you plug in. The LR Baggs system can produce ample bass response and more than sufficient treble, so both these guitars can sound like jumbos. 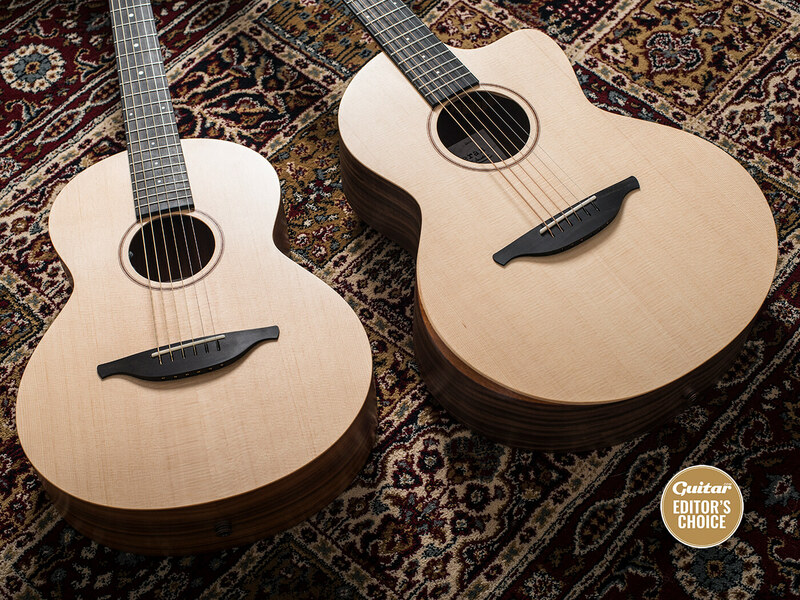 That said, for its look, the cutaway and its acoustic tone, the S04 would be our choice.